Last week, I went to see The Hobbit: An Unexpected Journey twice in three days (2D & 3D). I was interested to see if there would be any cinematic continuity, for example would it still feel like a Lord of the Rings franchise film? Would there be an obvious link, or could I see it becoming another version of the Star Wars prequel debacle? And not to mention that I've missed the glory days Peter Jackson's version of Middle Earth! Will the first Hobbit instalment be swiping all the Academy Awards like its predecessors? My first screening was in 2D on opening day, and it blew me away. Or, more specifically, back to 2004 where The Return of the King left off. Watching The Hobbit in 2D is most definitely the best way to go if you're nostalgic for The Lord of the Rings, and want the same experience. This was exactly what I wanted. I left the cinema in a daze, feeling as though I had been brought back to a time which I've always craved to visit again. It was magnificent, and I didn't want to leave. Some familiar characters return, for example Frodo (Elijah Wood) and an older Bilbo (Ian Holm), and there's Gandalf (Ian McKellen) and Elrond (Hugo Weaving). We even see familiar places: Weathertop, Rivendell, and the Shire are just some. The new faces are also delightful; the dwarves are very well-interpreted, and I loved the unscheduled appearance by Radagast the Brown (a previously unseen Tolkien creation played excellently by Sylvester McCoy). My only casting complaint is that of Martin Freeman, who plays the younger Bilbo. Though he can pull off the lighter, whimsical side of Bilbo's personality, I wasn't convinced by his portrayal of more serious moments. Maybe Freeman will grow on me. And then there's 3D, which provides a completely different viewing experience. For a start, Jackson decided that he would film The Hobbit at a frame rate of 48 frames-per-second, instead of the more conventional 24fps. What this means is that because more detail is captured on film, what you see on screen is super-HD quality: you can spot every vain, every spark. You can even decipher each dwarf's face during a chaotic fight scene. However, while this was impressive, I didn't appreciate it. I found it, at times, gimmicky and distracting. Sometimes I even felt like I was watching a video game (a common complaint, it seems, made by viewers). I certainly didn't feel as awe-struck and nostalgic as I did the first time around. Of course, opinions will be different for each individual. But as I'm a person who wears glasses already, I find it annoying having to put another pair on top of those I'm already wearing! Perhaps that's something I should've taken into account before choosing 3D. Also, I wonder if this seemingly controversial mode of high frame-rate shooting will hinder The Hobbit's chances of full Oscar glory? We'll have to see this awards season. Otherwise, I loved this first instalment. It steers away from Tolkien's original novel at times, as film adaptations generally do, but I found myself rather accepting of this. The screenwriters have done such a good job and it's obvious that they put in a lot of heart, respect, and research into their reworkings. Also, if you haven't done so in a while, I'd highly recommend watching The Fellowship of the Ring before going to see The Hobbit: An Unexpected Journey – there are some charming little nods between the two which are too good to pass by. 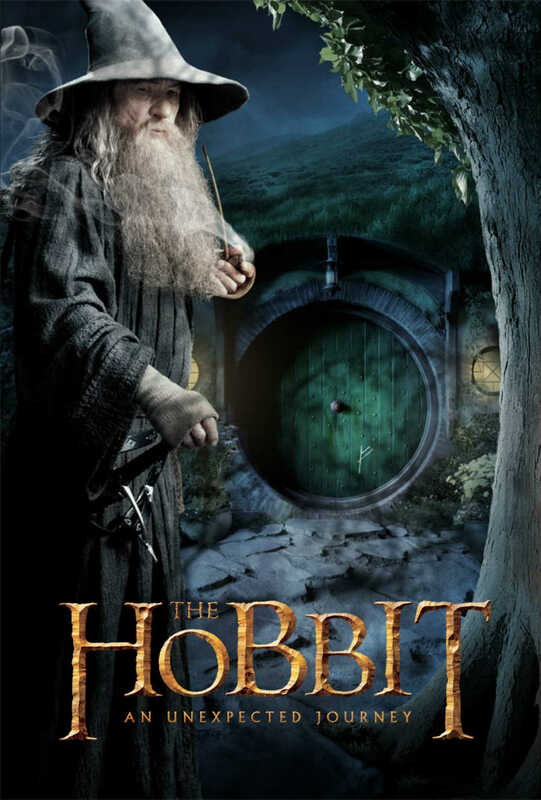 Have you seen The Hobbit: An Unexpected Journey? What did you think?